These profiles are generated and supplied by the Bufkit Warehouse. Thanks to Daryl Herzmann for use of code to build the map below, and to Andrew Ansorge, Phil Butcher, and Scott Lincoln for some helpful ideas. Click on a point, and the links to the profiles will be displayed next to the site and below the map. Also, you can view the most current the data in a time series, along with MOS, NWS, and Observations by clicking on "Visualize Data!". Enjoy! 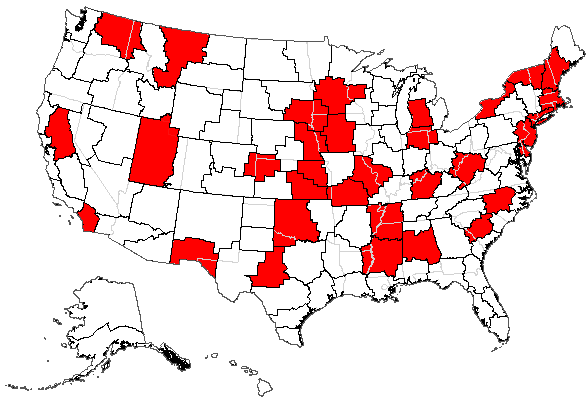 Red CWAs indicate WFOs that offer bufkit profiles for their CWA and surrounding region. By clicking on one, you will be directed to the NWS Bufkit site you choose. White CWA's have yet to see the light. :) Please contact me if I've missed an office you know offers bufkit profiles. Thanks! Iowa Profiles - Links to all profiles centered around Iowa. 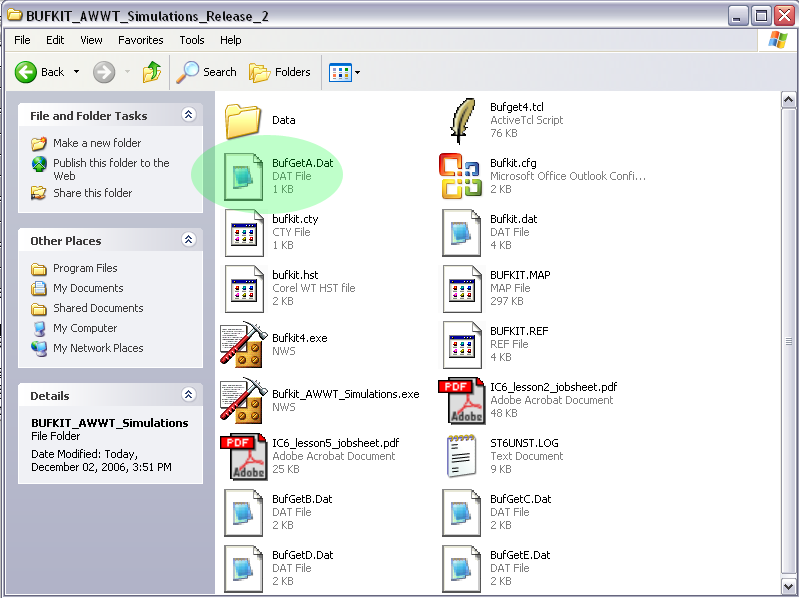 You can copy these links straight into Bufget, or copy this file into the Bufkit directory. National Profile Selection - Click on the Model/Run you want, and a map of the U.S. will pop up with sites all over the nation to choose from. Copy the link address into BufGet, or save the link into the /Data directory. 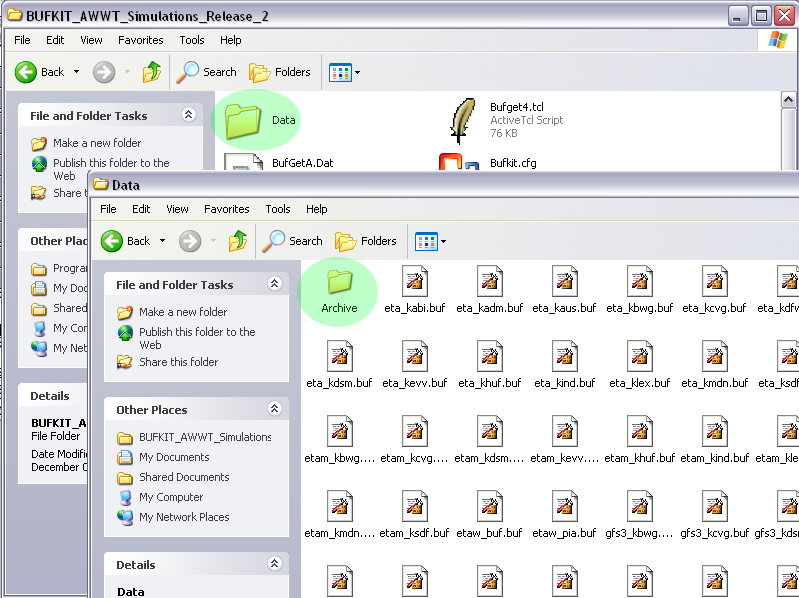 National Bufkit Data Archive - Files generated by the Bufkit Warehouse are being archived on a data server at ISU. This archive begins on 30 December 2010. Save these files into the /Data/Archive directory for storage. Big thanks to Daryl Herzmann for help getting this set up! Iowa Bufkit Data Archive - Files supplied by the Des Moines NWS are available beginning 25 January 2006, located in a sub-directory called 'Bufkit'. Save these files into the /Data/Archive directory for storage. Thank Daryl the next time you see him. NWS Louisville Significant Case Bufkit Arhchive - A small archive of Bufkit profiles from severe events in the Louisville CWA.